St. Paul's on Grace continues to be a part of GEM - Great Neck Episcopal Ministry. 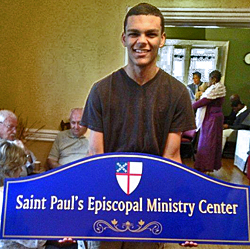 We are at an exciting point in the life of St. Paul's Ministry Center. The Right Reverend Lawrence C. Provenzano, Bishop of the Episcopal Diocese of Long Island, has asked that we begin the somewhat daunting and challenging, yet exciting process of redeveloping St. Paul's. We have begun the process! Stay tuned as we move forward. Additional details about the community activities available at St. Paul's on Grace will be added as they become available. For more information please call 516-482-5392.